We stayed here for two weeks – our first time here and our first time with our new caravan. The booked is a bit confusing and talking to others they had similar issues. We’d booked a serviced pitch, with awning and with space for our car. Serviced pitches here are EHU only. Not an issue for us overall – but others were expecting water hookup as a minimum with EHU. We arrived after reception had closed, but had our pitch details. Unfortunately there was no way that this pitch would fit our caravan, awning and car. At best our caravan and Awning. It was also all pea shingle (but not a big issue at the time). One short call to the Warden later, we were moved to a different pitch with plenty of space. In the morning we went to reception who apologised, were great overall and we had it agreed to stay in the pitch we’d been moved into to settle up. Lovely site, friendly staff, customer focused, great location. This entry was posted in Reviews on April 27, 2017 by Termite. A pretty bold statement to make, but if you read the reviews. . . they are all raving about how great it is. We purchased this to replace an existing Silent Night mattress – memory foam, very comfortable, but after just 6 months it was sagging in the areas you lie. So after reading reviews, taking note of the 100 day trial, we took the plunge. Bear in mind this was nearly triple the price of the mattress it was replacing. But when you spend so much time in bed, having a good nights sleep is worth it. Purchasing wasn’t easy on the website site, I couldn’t apply discount codes and ended up having to use a different browser on a different PC to finally be able to buy it (Perhaps that was my warning right there?!). This entry was posted in Reviews on November 15, 2016 by Termite. So are these blender/smoothie things just a fad? Is it really healthy? Are they any good? Does the IQ do anything? These are all good questions, and the same ones I had when I contemplated buying one of these. I did some research, tried to find some reviews – but there was little out there that gave me an honest opinion. I was about to spend £95 – as an attempt to get more healthy stuff into me, reviews generally positive so I went for it! So, firstly some background. I’m overweight and generally eat once a day (not a great lifestyle) so I wanted to get something to have as a breakfast, and after my research a smoothie seemed like a good way forward, incorporating lots of fruit/veg into something I can just gulp down. 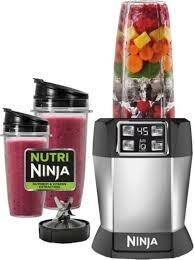 The purchase of the Nutri Ninja Blender with Auto IQ was triggered by it being on offer! If it hadn’t have been I’d probably have not thought too much about getting a blender. I did some searches for reviews, mostly positive – some awful and overall just link after link saying how GREAT these were but not really saying why. So it was boxed well, and unpacking gave you the base (main blender), two cups, one blending attachment and two lids. The cups are different sizes – for now I’ve only used the large one. But the intent is, put in the ingredients, blend, unscrew the blade attachment and screw on a lid and go. Personally I pour it into a pint glass. The first smoothie I tried, made me wonder if I’d made a mistake. It wasn’t a great flavour, and I kinda forced it down. But that’s not the fault of the blender . . just the recipe I’d followed. I read up some more, and generally – MAKE YOUR OWN! Lots out there promising detox, losing weight and other wonderful statements. But for me I just wanted some healthy stuff, some of my 5 a day in a drink I could gulp down. This entry was posted in Reviews on February 6, 2015 by Termite. I’m currently a lead singer in a covers band www.chamberlayneband.com, and over the months I’ve slowly but surely been upgrading my equipment – hence the reviews coming up on this page. So onto my review of the Shure GLXD24UK/B58. My latest upgrade was my microphone. I was happy withÂ the good old stable, reliable SM58 wired (switched as that’s my preference). But I’d been keeping my eye out for a move to wireless, which happened when I took a look at the new Shure offering. 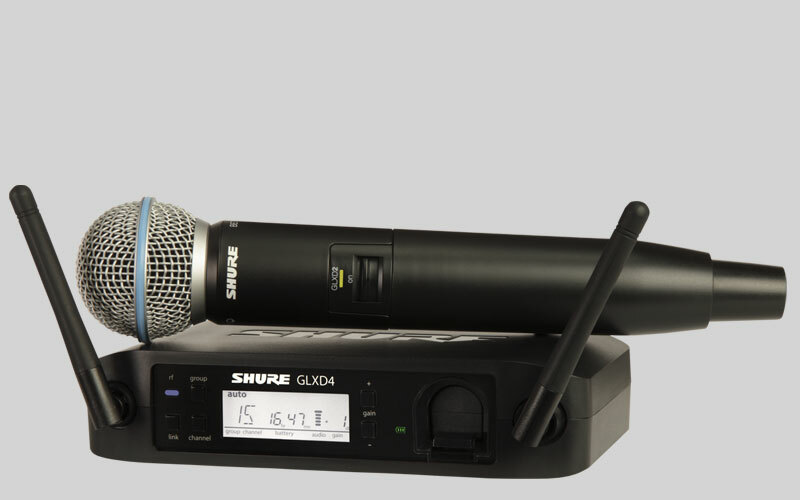 Firstly – the Beta 58A microphone is a step up from the SM58, looking at a wireless package for the SM58 was my first choice. But after doing some digging – the price to go up to the 58A was a worthwhile step. So – onto the review! Is it good, is it better . . . simply put – YES in every single way I can imagine. Firstly the whole package comes in its own case – nicely padded to keep things safe inside, which is good because, while it doesn’t feel fragile – the whole thing is exceptionally light. The first thing I noticed was the weight of the microphone itself – SO much lighter than a standard wired mic and I liked it! This entry was posted in Reviews on December 18, 2014 by Termite. The hotel is pleasant, grounds well looked after, lots of pools to choose from and the rooms are more than adequate. The animation team were great, and our daughter LOVED the kiddie disco every night. The animation team were also customer service reps, and regularly coming round to check on things and take feedback or help address any problems. I do cover some problems or issues we did have below – but in general they weren’t worth raising there and some were pretty obvious and shouldn’t need raising. But again – the animation team was one of the biggest positives of the hotel. Food from the buffet area is ok, but it is also VERY hectic and getting a table at lunchtimes or breakfast can be a challenge. They also had the Mexican restaurant doing breakfast – but similar situation there and I’ve got more details on that down below if you want to know more. Each night (apart from the first) we ate in the ala carte restaurants – which is good as I think we’d have gone mad having the buffet and its challenges every day. At lunch times we generally went to T-Bones where they had some burgers + other bits and a pizza bar which was great. So overall – we’d think about going back if we got a really good deal, but unfortunately I’ve a feeling Egypt doesn’t agree with my stomach and I was ill for most of the holiday. Thankfully only a couple of days where I was too ill to do anything, but not feeling well for 12 days wasn’t fun, and neither was the £100 spent on medication, then docs then more medication. But I won’t put that blame on the hotel as the rest of the family were fine. The hotel could easily take a small step up in a few areas that would significantly enhance the experience. As others state there are Russians there and at times we wondered if there were any other nationalities. But I will point out we met a great couple at the family pool (outside block 35) who were sharing food/snacks and although their English was not good they really made an effort. They were really nice. The airport is hell, but this is Egypt, unfortunately it can really ruin the start of your holiday if you get there and it’s busy! Our first week was quiet, and was great because of it. The 2nd week was VERY busy and it really amplified the bad points of the hotel. The onsite pharmacy is a complete rip off. When pointing this out on another site for the hotel. I had it repeatedly pointed out that there are other pharmacies you can go to, also the Senzo mall. Yes try going to those when you’re extremely il! The hotel really needs to sort out its onsite shops/services as this wasn’t acceptable. Now I’m not sure right now what star rating the hotel is, for us . . we’d probably rate it at 3 star, but not the 4-5 star it can be sold as. With some minor changes this could easily become a 4 star – and give you that good comfy feeling you’d expect with a hotel at that true rating. At time we DID see that level of service and quality – but it was far from consistent. Again this is from my perspective, we’ve stayed at true 5 star hotels and also at 2 star hotels in the past. So you generally do get what you pay for. . but again. . some small changes would make this a much more pleasant stay and give it the 4 star feel. This entry was posted in Reviews on November 21, 2014 by Termite. Well – short story first. . .
As a young adult I took out many loans, each time my bank approved me but on the basis I took out payment protection. At the time – I just said yes, no option to not take it but very much IF you want the loan you have to. So – moving on 20 years. All these PPI things happening I just though – nopes too long ago etc etc. A friend got something backdated a LONG time – via a company called The Claim Guys. He passed on the details and I thought I’ve got nothing to lose. . and hadn’t. The costs from them were VERY steep – 30% + VAT. But I thought it was worth it – they will do the work and I’ll either get something or I won’t. So a call with them led to a bundle of forms to fill in. . .but I thought what the hell and did it. Everything sent off and nothing from them, so I called to confirm they had the paperwork. The Claims Guy people acknowledged and it was a waiting game. A few weeks later a get a MASSIVE bundle of paperwork from my bank to complete. Called The Claims Guys – who just said sometimes they do and to complete it. So I took the time, filled it all out and back it went. From this point I’d had NO proactive communication from The Claims Guys – without me calling to check on progress. I got phone calls from my bank to validate information, and called them a few times for updates. Eventually – I get a confirmation letter from the bank with an offer, which is great news. In the same post was a request for payment from The Claims Guys. Bit miffed at this point as I’d had to call them to progress things, or get updates. . but the minute I get something BINGO a letter requesting payment IMMEDIATELY. So I’ve no money come through from the bank but an immediate request for money. To make this better, the next working day I get called by The Claims Guys – asking if I’ve got the money and to pay them. So as soon as they want something, they can be bothered to call me. Overall I can’t complain as I got money I never thought I would, but a lesson for everyone else. .
All that The Claim Guys did was to contact my bank, with basic info of my name, addresses and asked the bank for details of any loans with PPI attached. This triggered the forms from the bank for me to complete + the calls with the bank until completion. I had expected they’d manage communications with the bank and manage the overall process ensuring the best offer for me. But they didn’t – that was ALL down to me. They didn’t update me on how things were going, left that to me. So please learn and DO NOT USE THESE COMPANIES – especially if you expect them to do the “end to end” management. They’ll fill in a form you could, charge you silly money for it – making you feel they can do this better than you and you’ll still have to do the rest. Fill in all the paperwork, chase the bank. So as a company I’d score them pretty low – when they want your business they’ll call and chase you. But soon as they have it – they are on to the next person. Until you owe them money (which you’ve not even been paid yet!) Then they chase you again. When I did call them I was made to feel I was wasting precious time! The service they provide – well after going through it I never would again. My wife will be progressing a claim – and we’ll manage that ourselves. Please learn from my mistake – yes we’ve got money back, but to pay someone £1000’s for filling in a simple request to your bank/lenders. . .don’t fall for it. They add NOTHING over and above what you can do yourselves. This entry was posted in Reviews on May 6, 2014 by Termite.